Teleflora's Love You Bunches Bouquet - by Weber's Nursery & Florist, Inc.
Make the joy of Mother's Day last. 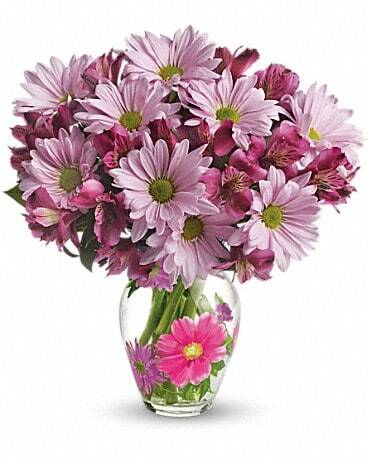 Send Mom bright spring flowers in a charming clear glass vase decorated with flowers that bloom forever. 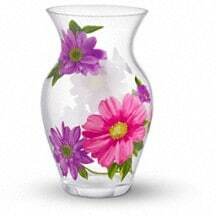 She'll love using this sweet vase to show off flowers from her garden all year long. 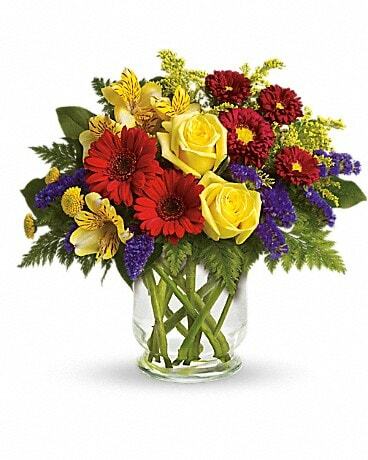 This cheery glass vase adorned with spring blooms is from Teleflora's exclusive Flowers-in-a-Gift collection. 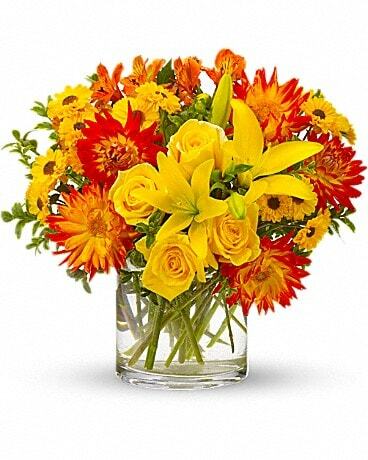 It's perfect for stylish bouquets year-round.